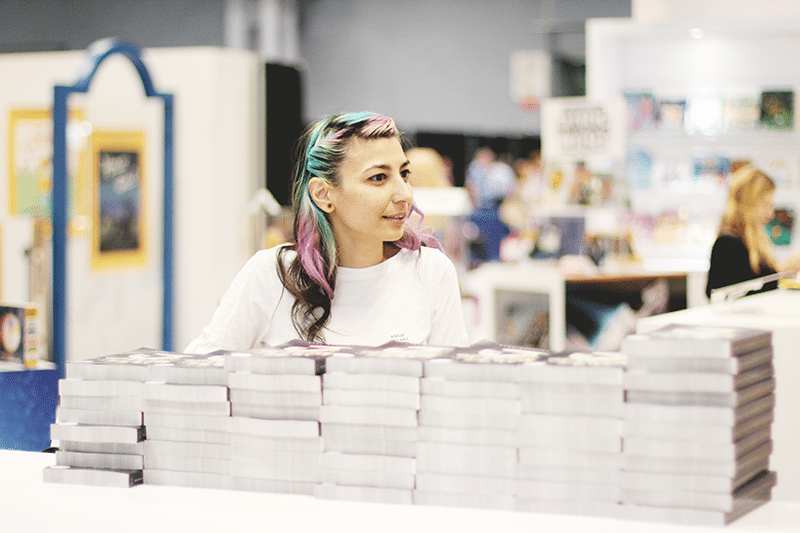 Finally, we have the last segment of my adventures at BookExpo America 2015! It was fantastic and writing these recaps (which turned out to be fun too) have immortalized my experience so I know I definitely won’t forget it! Now let’s wrap this up with a run through of Day 3 and an amazing giveaway! 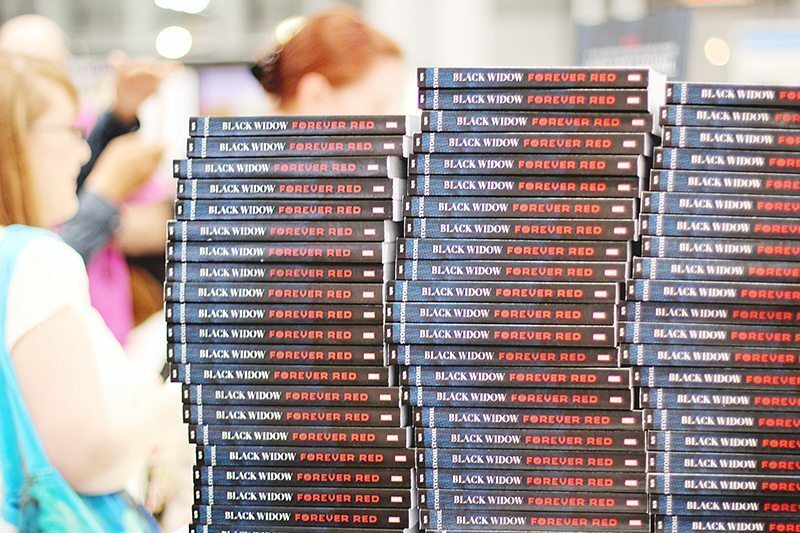 When the show floor opened, I lined up for Black Widow while Louisse got us copies of Soundless by Richelle Mead. This has been our arrangement for the first two days of BEA- always multitasking and reserving spots for one another and it was so helpful for both of us. Seriously, if you’re going to BEA, having a buddy is a must. 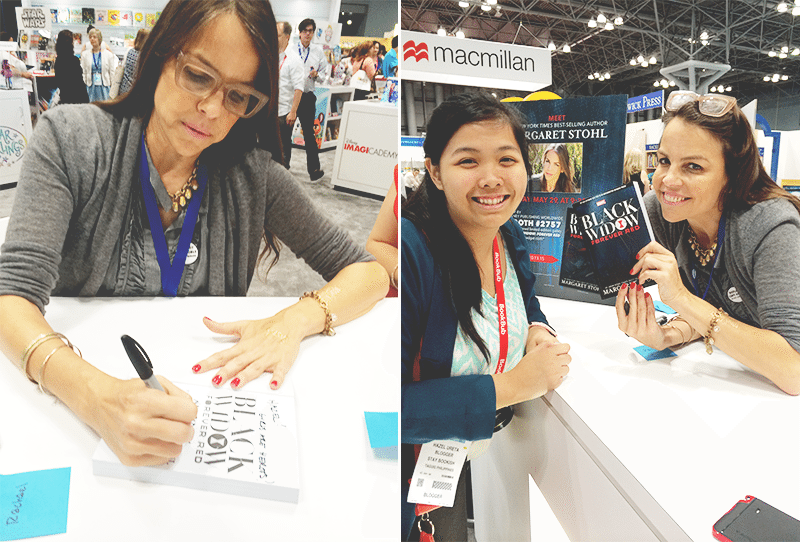 Anyway, Margaret Stohl signed Black Widow for us and I showed her a picture of me and her together when she was in the Philippines and she told me I had looked familiar. She told me to send her regards and I told her I was looking forward to reading her new book. 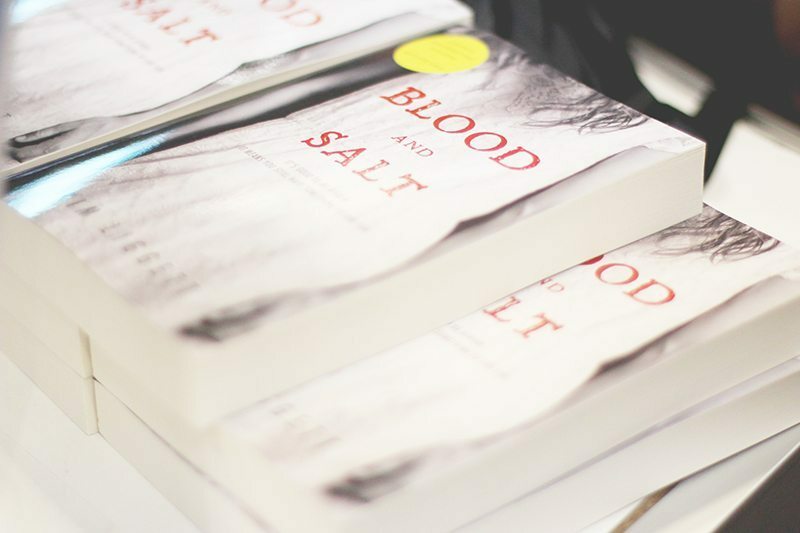 Next, Louisse and I stood in line for Kim Liggett’s Blood and Salt signing. Virginia Boecker was around and we said hi and told her we’d been at her panel at TAC. She was friendly to us and agreed to take a photo with Louisse. Finally, I met Kim and when I introduced myself (just my name), she instantly recognised me and we hugged. She is seriously the loveliest and I was so excited I got to meet her then and also that I have a copy of her debut novel, which I’ve been looking forward to reading since hearing about it! At the autographing area, the line for Abbi Glines’s signing was pretty packed. She’s the author who introduced me to New Adult so it was really great to meet her. I can’t wait to read her latest upcoming title- Until Friday Night! Louisse and I headed back to the Disney booth and look who we spotted there: Alexa of Alexa Love Books, looking lovely as usual, E. Lockhart, creeping at A Whole New World ARCs, and Disney publicist with the awesome hair. Upon getting our own galleys of A Whole New World, Louisse and I went to Midpoint, where the Hello? signing was happening. While in line, we met the lovely Tiff of Mostly YA Lit and Beth of Fuelled by Fiction. It was so fabulous to chat with these two ladies! 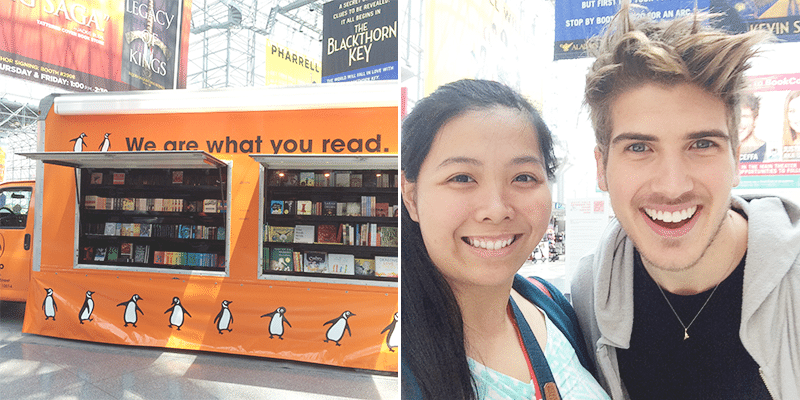 As I headed for lunch, I stopped by the Penguin truck and then I ran into Youtuber Joey Graceffa! Alexa also introduced to me to Layla, a blogger at The Midnight Garden, who talked to me about Uprooted which I now NEED to read. Awhile after we got our food, the Q&A with Sarah and Carrie began. Both authors talked about the research that went into their books (none for Sarah, lots for Carrie, including some pretty horrible trivias she learned through researching that she shared with us), their TV/music favorites (Sarah was currently digging Taylor Swift who once favourited her tweets and Carrie loved Broadchurch), what they would be doing if they weren’t authors (Sarah joked about probably still working at a burrito place and shared her touching thoughts on how blessed she was to be making a living out of her passion while Carrie would still be a lawyer) and their YA crushes (Sarah felt disturbed about her huge crush on Jamie Blackley because of the If I Stay movie and Carrie liked Jace, played by Jamie Campbell Bower, from The Mortal Instruments movie). The two were just so fun to listen to! 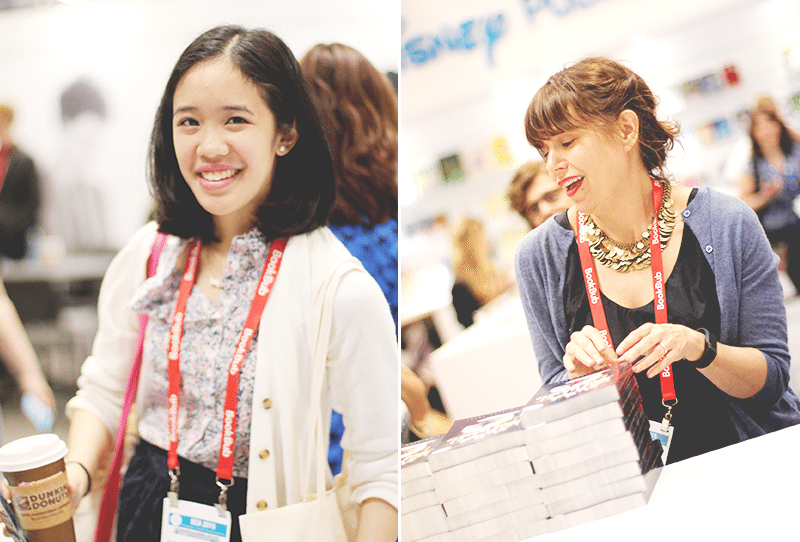 Us bloggers got the chance to have our books from the lunch signed and chat/take photos with the authors. Although I haven’t read Carrie Ryan’s books yet, it was really lovely to meet her. 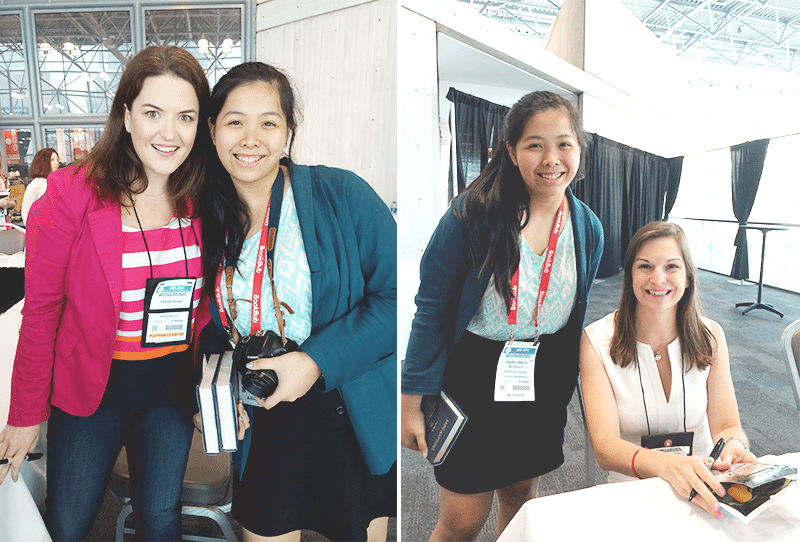 And of course, when I met Sarah Dessen upclose and gave her some Filipino goodies, I was definitely mentally hyperventilating. She’s been on my authors to meet bucket list forever and it was her books that made me fall in love with YA contemporary. It was just such an honour to meet her finally and she was so sweet and amazing. We talked about her coming to the Philippines and she said she definitely wanted to visit one day. I hope it happens! After the signing, I took some selfies with Jon of Bookish Antics and Jamie of the Perpetual Page Turner, who were both at the luncheon. 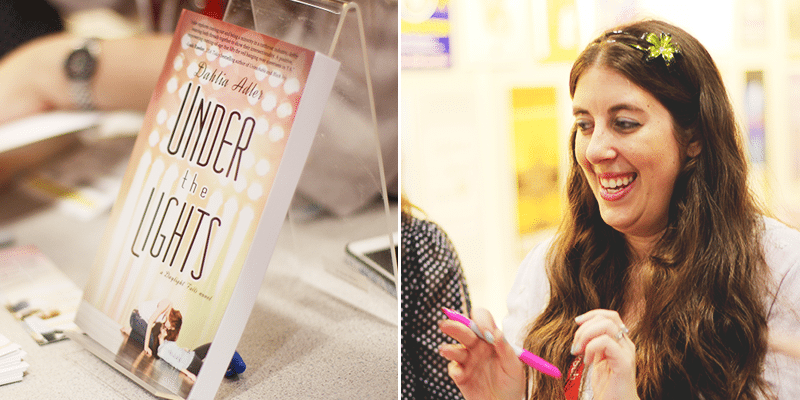 I ran into Estelle of Rather Be Reading after and it was just so wonderful to meet her! I only wish we got to chat. 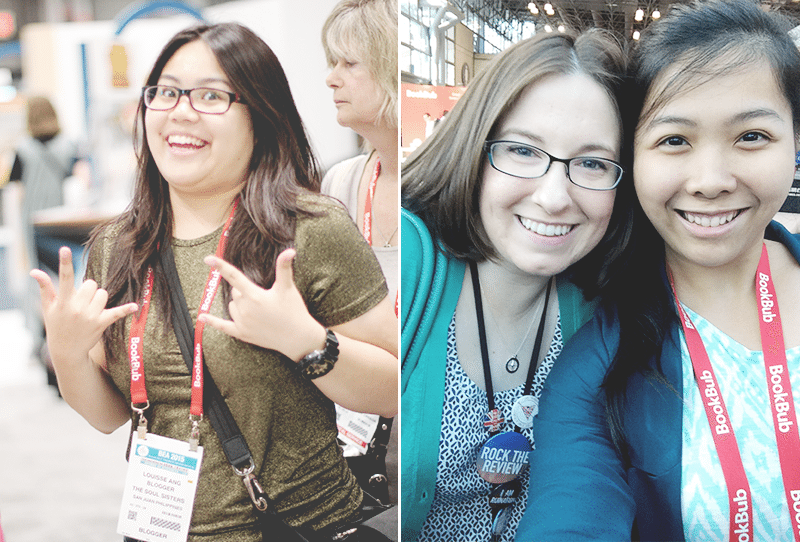 Still, she’s one of my fave book bloggers so I’m really glad we saw each other! After that, Louisse and I hung out at the Bloomsbury booth with Alexa, who wanted me to meet Summer of Blue Sky Shelf (who I recently worked with for her blog design)! She is super pretty! Alexa also introduced us to the Bloomsbury team and Emily introduced Murray to us! We were later on joined by Lizzy Mason (also from Bloomsbury), and other fellow bloggers- Kelly of Belle of the Literati and Brittany of Book Addicts Guide. It was just so amazing to meet all this wonderful people from the bookish community! Really wished I’d taken photos with them but I left after awhile to check out Mindy Kaling’s signing. There were so many paparazzis around her (me included I guess) and even though I didn’t get to say hi or have her sign her a copy of her upcoming book, it was great seeing her upclose still. Mindy Kaling is so very fabulous in person. I dropped by the Little Brown booth after and they were doing a raffle for their books and the ladies over there were just being adorable so I had to take a picture! Mid-afternoon I attended Cammie McGovern’s signing for her sophomore novel, A Step Toward Falling. Cammie, who I worked with for Ah-MAY-zing Reads last year remembered who I was and she was so sweet and thanked me for inviting her to guest post on the blog. She told me she remembered I was from the Philippines and I affirmed this and she was amazed when I told her I flew all the way from Manila to New York. Came was seriously wonderful and I loved loved meeting her. Funny story: I lined up for Rae Carson’s signing even though I actually wanted to line up for Patrick Ness’ but was disheartened because I thought the line was closed already. Louisse actually wanted to line up for Rae but ended up the on the wrong line for Patrick Ness instead. We agreed to swap signed books which was convenient for both of us. When Louisse met Patrick Ness and told him to sign the book to me, I was standing in line at the table right next to his, Louisse pointed me out and Patrick Ness mocked hurt- “You couldn’t even be bothered to wait in my line?” He actually wrote this on my copy of The Rest of Us Just Live Here. He was being funny of course and I admired him even more for having such a great sense of humour! (Those who met him can atest to this.) Totally won’t ever forget that adorable moment! 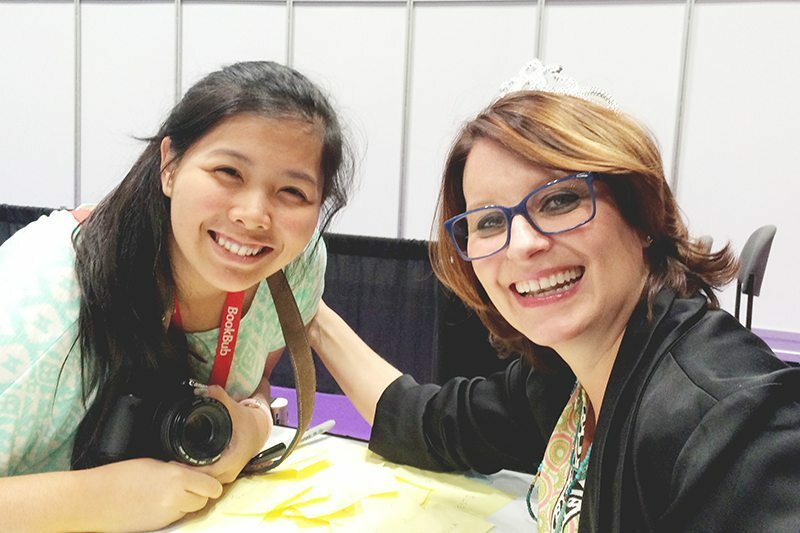 The last eventful and unforgettable moment of BEA 2015 was when I met Meg Cabot. Her signing was also very long but I got in line early so I managed to secure a good spot. Meg was looking fantastic, sporting a shiny tiara, and she was also super friendly to everyone. I read her books before I even knew about YA so meeting her will surely be memorable. 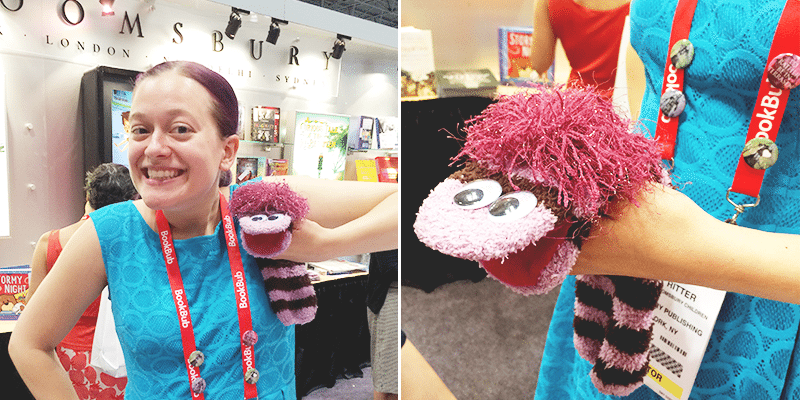 Just like my entire awesome-crazy-tiring-fun experience at this year’s BookExpo America! 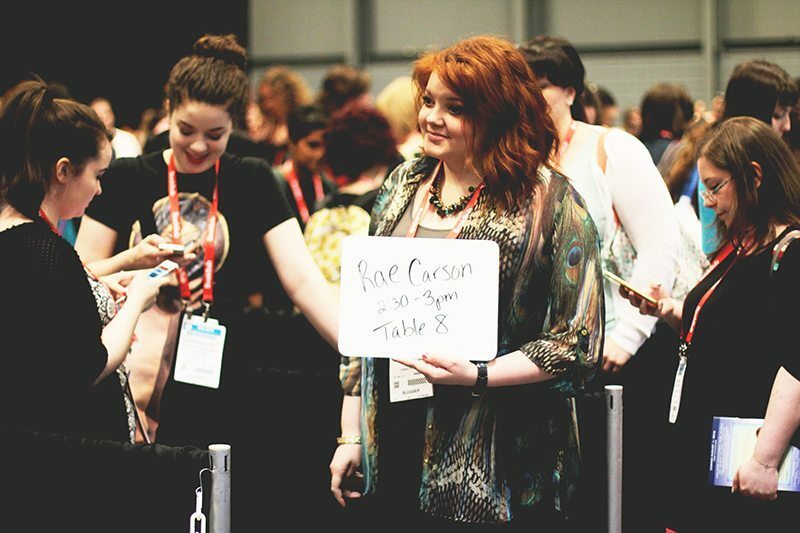 Even though I had the chance to attend BookCon the next day, I skipped it. I was still feeling overwhelmed by BEA even after it was over. And truly, BEA felt like the ultimate bookish event experience and I was so happy with how my first time went that I felt just so contented already. 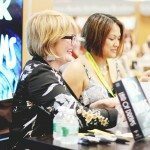 Will I be going to BEA next year? I’d love to visit Chicago but I really don’t know- it’s highly unlikely. I do know that I will attend again, maybe in the next few years. I just loved meeting so many amazing people who love books, write them and support them. I don’t think I could ever get enough of such a feeling. Awesome pictures! I hope I can make it next year! WOW looks like day three for you was awesome! 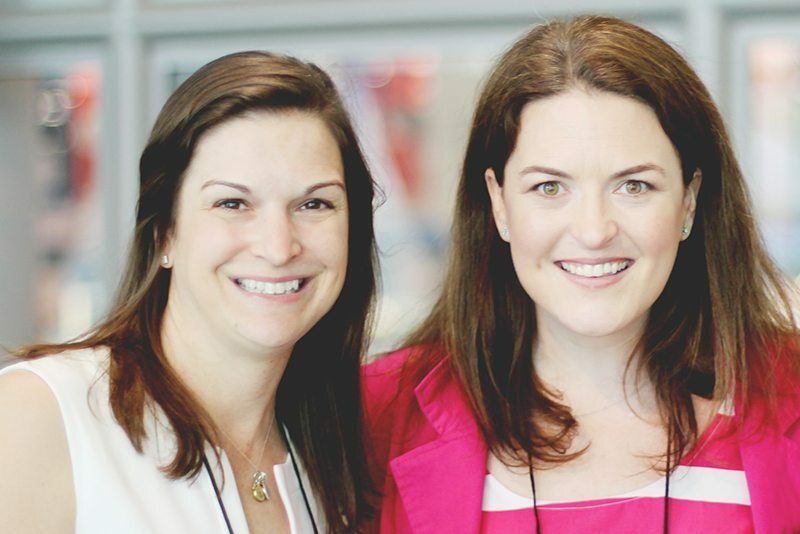 That’s really cool that Sarah Dessen was at the Penguin Blogger Luncheon! I love her! Jealous that you got to meet her :P AGAIN I love your pictures! 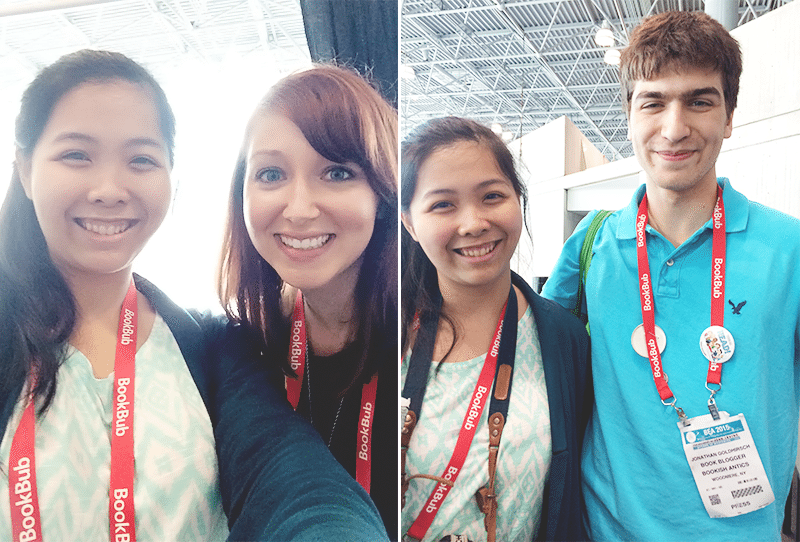 They are really good and really bring your posts to life :) Again, it was so great to meet you guys! I love meeting new people and finding new blogs to visit. I DID manage to swing a signed sampler from Mindy, but it seems like people who just were there taking pictures got to see her way more than we did! We may have gotten to talk to her, but it was only for a couple of seconds and then we were rushed away! And we couldn’t really see her much from the line! Boo. OH WELL. It was still cool. I love that woman :P I don’t know if I will be able to make it next year either but there is always hope! Great post! God,it all seem so fun,wish I had gone!!! 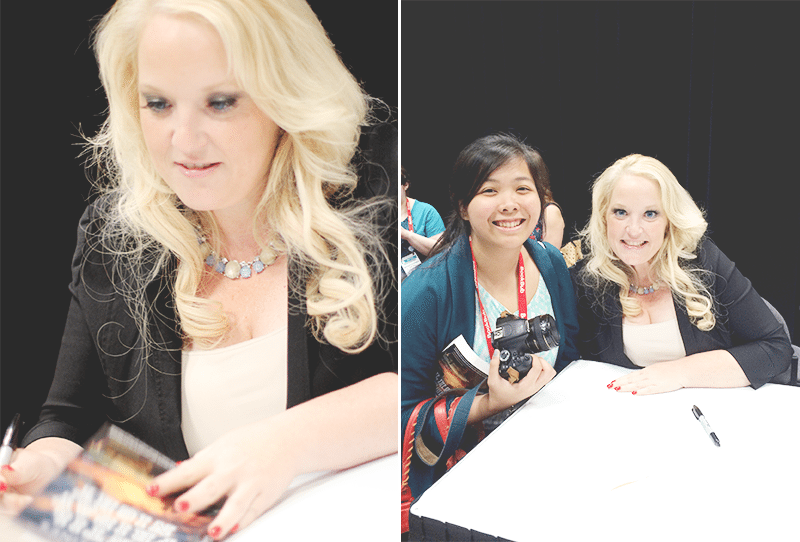 Illuminae is one of the books I’m dying to read so thank you for the giveaway!Enjoyed seeing your photos from BEA. It’s so amazing that you met so many authors. Awweeee, I’d love to see you again in Chicago, because I’ve decided that I will be attending next year too for sure!! This looks like a fantastic experience and it really inspires me to get working on the book blog I’ve been meaning to start! Exreemtly helpful article, please write more. If you receive responses to your responses, then you know you may have succeeded in producing some product or service awareness. Adhering to up on those comments may guide you in connecting with buyers. I believe this is among the such a lot significant information for me. And i’m glad studying your article. However want to commentary on few basic issues, The web site style is wonderful, the articles is in point of fact nice . Just right job, cheers. #78 Bystander: Cavan Town is a very nice town, well maintained located etc. And you are right I forgot there is a bus to Dublin, and with the new highways it is direct run right into Dublin. I remember years ago the ride from Dublin to Cavan or vice versa was a long slog. And of course if you are in Cavan and going to Dublin, you always say you are going up to Dublin, even though you are going down to Dublin!!! “. . . the chances of gutting the Human Rights Act are now effectively nil.” – Reality BitesToo late RB. Through bureaucratic incompetence, Canada’s HRC’s have been busy discrediting themselves. Wow! You took a lot of photos at BEA. Which lenses did you bring? I really wish I could’ve been at BEA, but school didn’t end until June 5. Hopefully, I’ll get to go when I’m in college. I just used my 50mm f1.4 because my other ones are long and heavy and I didn’t want that kind of weight with me especially with all the book bags I was carrying. I hope you get to go too, Dana- it’s a really great experience! I uninstalled CommentLuv now- thanks for letting me know! 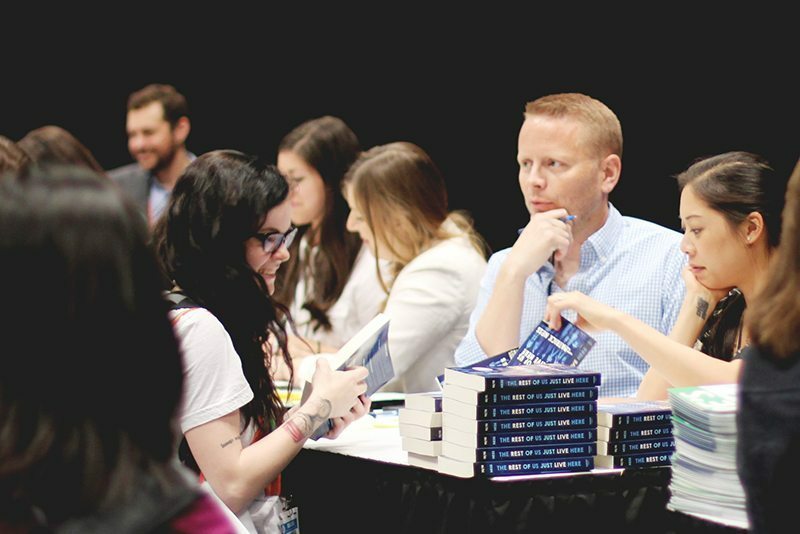 Aaaaaaahh – that Patrick Ness story!!! 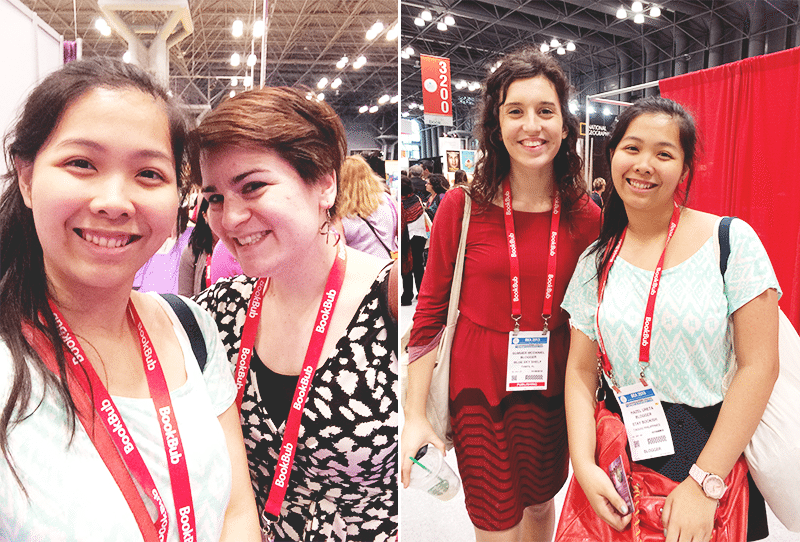 Love that you met up with a lot of bloggers at BEA! What a beautiful experience!! I can’t wait for my time to attend BEA! 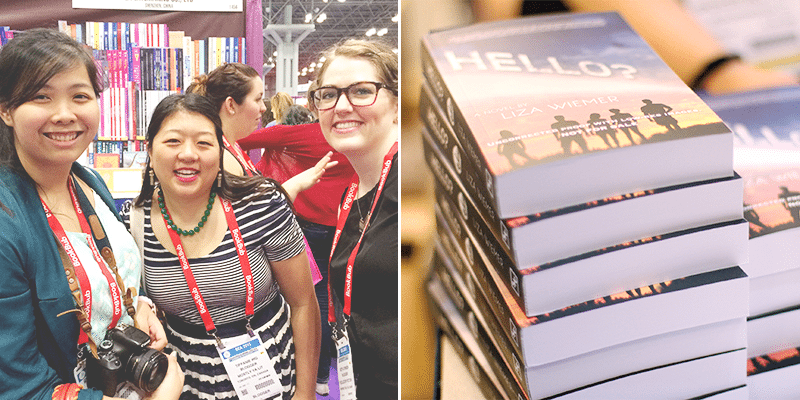 What a way to end your BEA recaps, Hazel! You’re prolly tired of hearing this but you are sooooooo lucky, meeting all those wonderful people (and bringing home all those books omg!) Hopefully someday I’ll be able to experience those first hand *fingers crossed* Thanks for the lovely giveaway too! AHH! Having authors recognize you, that’s like the most amazing thing ever! Haha! And, I love Patrick Ness’ sense of humor. It kinda reminded me of Lissa Price when I confessed to her that I haven’t read Enders yet during their book signing and she was like, “Shame on you!” and we both laughed afterwards. OHMAYGAHD Hazeeel! 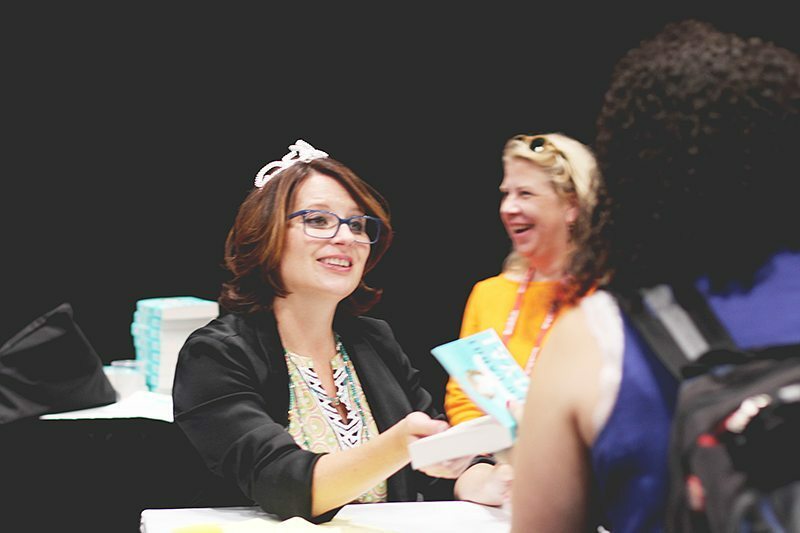 You’ve met Meg Cabot! I’m so jealous right now! 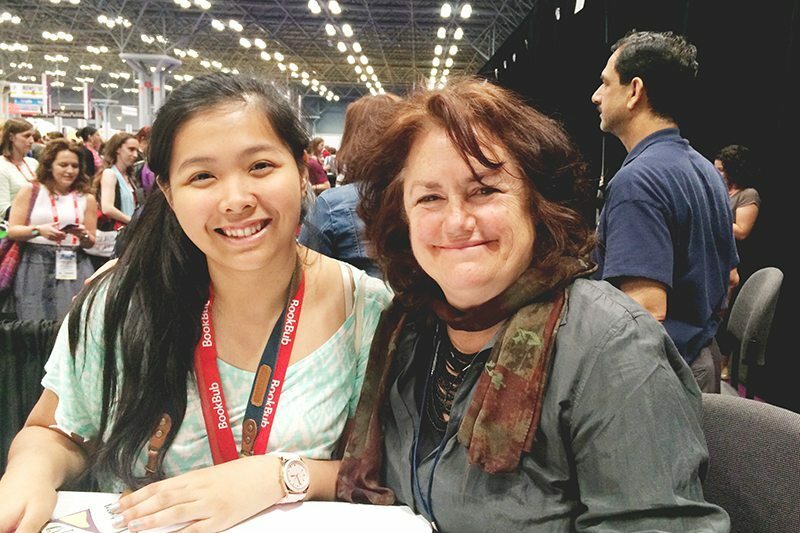 (I know, so obvious with all the exclamation marks in this sentence haha) I hope she gets to visit here soon, that would be awesome :D Such great recap of your BEA experience Hazel! I was unable to go so it was good to see it through the eyes of someone that did get to go. Love seeing all the different types of swag and displays. You really looked like you had a great time. I’ve never gone, but hopefully I’ll be able to someday. I would love to meet E. Lockhart and Kim Liggett! It looks like BEA was super fun. I can’t believe all the books people pick up at these things! 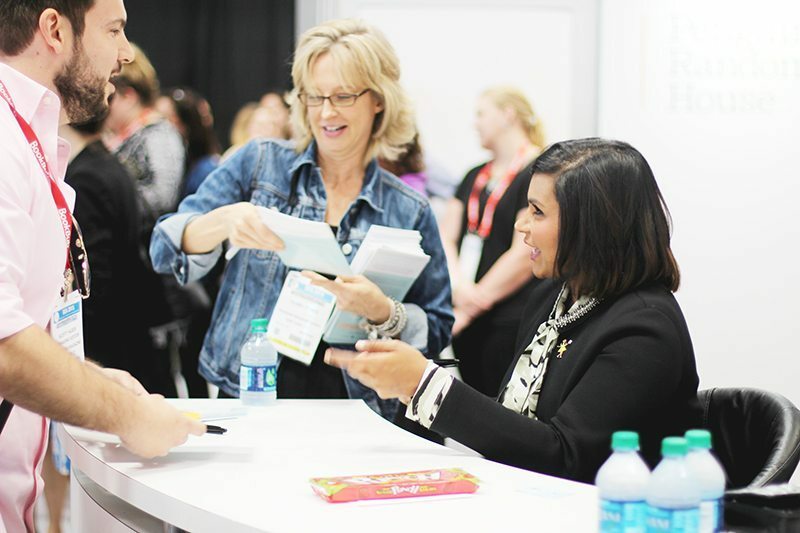 I died a little when I saw your picture of Mindy Kaling! I just loooove her. I’m so glad you got to meet all those people! That’s amazing, Hazel! (hey, it kind of rhymes) BEA seems awesome and I’m very impressed with you for surviving it! 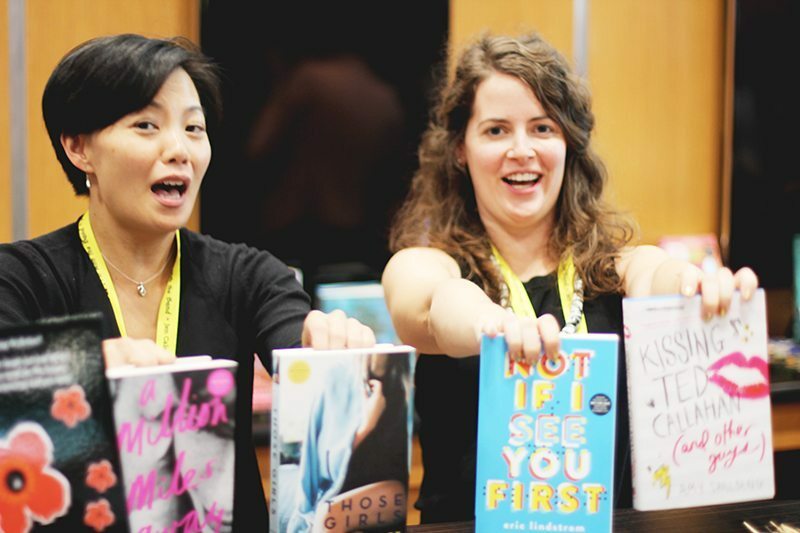 Oh it looks like you had an absolutely amazing time at BEA. I’m very envious of everything you did. I’ll have to get there some day, even if it kills me! Firstly if you can attend #BEA coming from the Phils I have absolutely no excuse coming from Australia, I really need to attend one of these events, it’d be a dream come true! Looks like you had much fun! Thank you for the giveaway. Second – love the tips you gave like the buddy system! 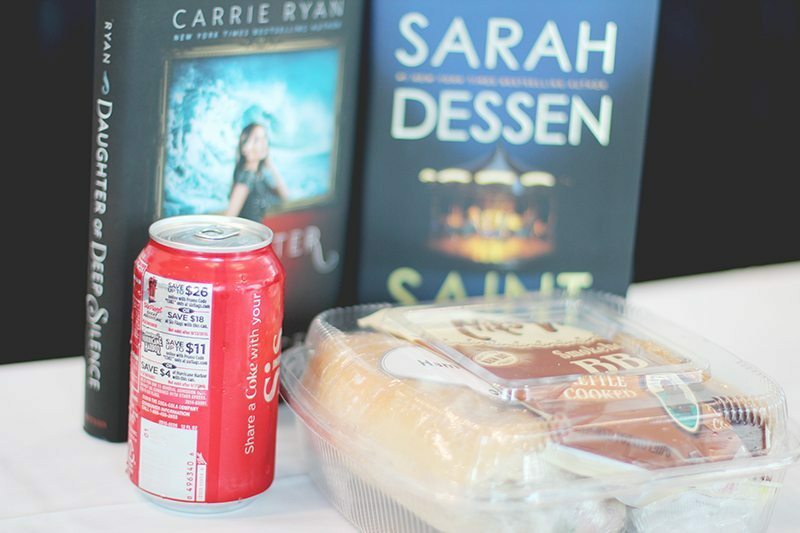 Last – Sarah Dessen and Carrie Ryan – I’d be in heaven! Glad you had a great time at BEA. I sincerely wish i was there too. 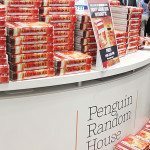 Looking at BEA, I’m in awe of the sheer number of free ARCs they give out. Awed and terrified, both. There are just SO MANY. Oh my. It would be so easy to just pick up one of everything and end with too many books to bring home (which would be pretty sad, really). Can I just say that I love your photos? They’re so HQ that I almost believe I was there too! Thanks! 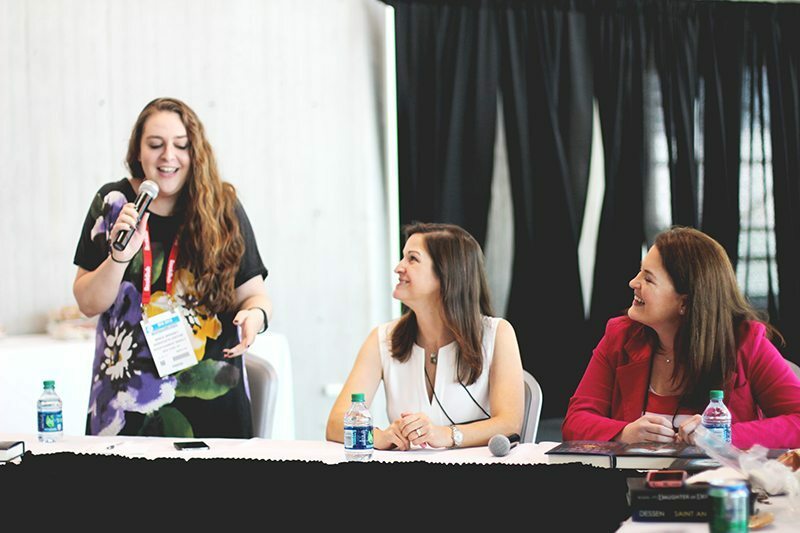 i’m glad you enjoyed the BEA :) love the pictures on all of your recap posts !! OMFG ABBI GLINES. I didn’t know you love Abbi Glines as well. I worship her so much! I can’t believe you met her. Amazing pictures! I looks like you had a great time! I hope that I can go next year! I’m so jealous of everyone’s recaps! One day things will work out! I am jealous….i wish i could have been there.seems like you had so much fun. Thank you for a chance to win an ARC of Illuminae!! Yay! What a wonderful experience! Wish I could attend to. The Illuminae Files is such a beautiful book. WOW. This is a great giveaway. I really want to read Illuminae. I’m itching to have it. Aww now I super envy you. :D Thanks for this awesome giveaway! Look all have so much fun and goal oriented.. Nice pictures and meeting and encountering new people .. Great.. It sounds like you had a lot of fun. 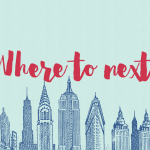 I’ve seen so many blog posts about BookExpo and I’ve decided that I need to go to America and go one year. It looks amazing! Hi! After this recap and all your other ones, I know I need to go to BEA next year! It sounds like so much fun!! I REALLY wish I could go to BEA after seeing these, but maybe sometime in the future. So glad you had a fantastic time and thanks for hosting the giveaway! man, BEA sounds so awesome, I’m really hoping to go in 2016! Sounds like you really had a great time! It must be nice to meet so many authors like that :) Hope I could go there someday and thanks for the giveaway!